When your drivers don’t keep accurate vehicle use records, you miss out on valuable tax breaks and risk liability for poor tax compliance. 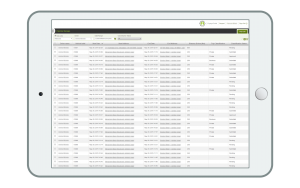 GreenRoad takes the hassle out of HMRC reporting by leveraging existing GPS tracking trip data to easily classify driving segments. Whether your drivers or service technicians use fleet vehicles for personal trips or use their own cars for business purposes, our data makes it easy to fill out expense reports and tax returns. Few employees remember to log and classify every trip segment as they drive. 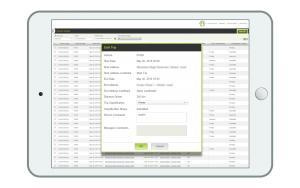 GreenRoad’s GPS Tracking data includes all the essential information required for tax reporting: Dates, departure and arrival time, location, fuel usage, mileage, and more, all logged automatically in the GreenRoad system. GreenRoad Expense Management allows drivers to review trips within GreenRoad Central and quickly classify each by usage type. Rich trip data jogs drivers’ memories to increase classification accuracy. Schedule reports for regular intervals to monitor and enforce timely driver compliance with company classification policies. Send reports to managers about trips awaiting their approval to ensure quick turnaround. Review and approve drivers’ usage classifications via GreenRoad Central.